In a country where food is meticulously prepared using tried-and-true techniques, it could be said that ramen is a culinary rogue. This nuanced noodle dish known the world over only took off in Japan about 100 years ago, but has since become an everyday staple prepared in thousands of different ramen shops. Here’s what you need to know about this iconic Japanese dish. While it’s usually impolite to slurp your food, that’s not the case with ramen. You want to eat it quickly so the noodles don’t get too soft in the hot broth, while being careful not to burn your mouth. So, those patrons who don’t even really look up from their bowl while they rush through their dish? Yes, they are doing it the right way—and you should disregard all you know about politesse and follow suit. 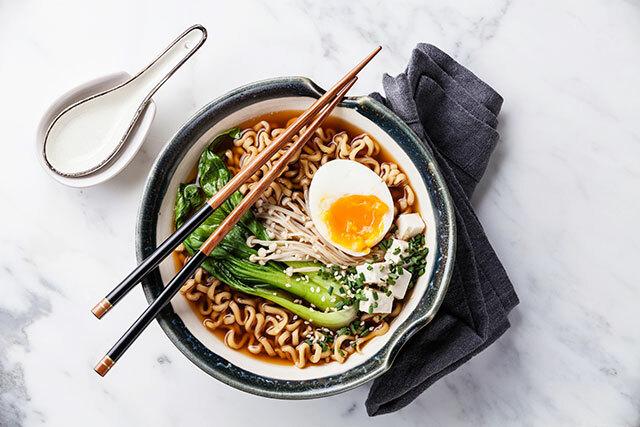 While particular ingredients, a chef’s creative touch, and more contribute to the layered flavors in each bowl of ramen, here are four must-have elements that culminate in a balanced, harmonious meal. Japanese chefs often seek out ways to put their own stamp on their particular ramen broth (incorporating seafood is just one way, for example). But, the most common elements include chicken or pork bones and dashi, a stock made from kelp and dried fish flakes. In search of umami? This hard-to-define savory element is infused into ramen with one of the four types of tare, or sauce: shio, shoyu, miso, and tonkotsu. These main broth bases set each style of ramen apart. 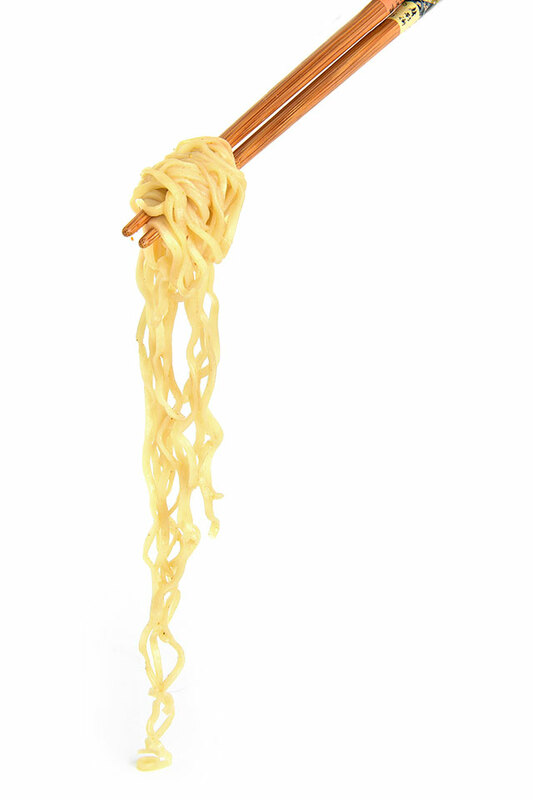 Ramen noodles may have gotten their start in China as lo mein, but have since become a Japanese staple. They get their chewy texture and yellow color from an alkaline water known as kansui, and are traditionally made with wheat flour, hand-pulled, and served al dente. While extras such as sweet corn and butter can make their way to the top of a bowl of noodles (looking at you, Sapporo ramen), more classic accoutrements include roasted pork, egg, scallions, fish cakes, bean sprouts, bamboo shoots, and nori (seaweed paper). Shio: Meaning “salt,” this is one of the oldest ramen bases, and the golden broth is the one we have come to know most often in North America. 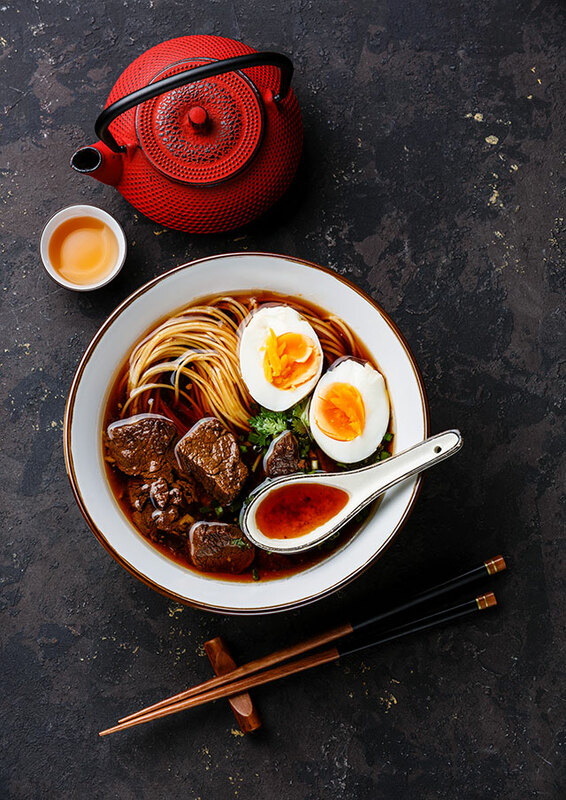 Shoyu: This tare’s soy sauce base creates a light-brown broth with a rich, tangy flavor, and is one of the most popular ramen styles in Tokyo. Miso: This version made with fermented bean paste was invented in the northern city of Sapporo, and has become one of the most popular styles throughout the country. Tonkotsu: Boiling ground-up pork bones results in this very distinct broth base, which lends a cloudy appearance to the soup. If your college days were synonymous with countless packages of instant ramen, you can thank Momofuku Ando. This businessman and inventor dreamt up the pre-packaged meal as a response to Japan’s food crisis following World War II. At the time, bread made from flour supplied by the U.S. was easier to come by than noodles, but Ando wanted his countrymen to stick to their roots. In 1958, he discovered that he could preserve noodles and their unique texture by flash-frying them in tempura oil. And just like that, one of Japan’s culinary staples became readily available and one of the world’s most revolutionary food products was born. While there may be no way to substitute actually sitting down in a ramen shop in Japan, here are a few ways to punch up your pre-packaged ramen at home. What’s one of the most iconic dishes you’ve eaten in your travels? Tell us in the comments!